Tom Beck, founder of Portfolio Wealth Global, discusses the energy sector and highlights one commodity that he says appreciates when oil becomes overpriced. 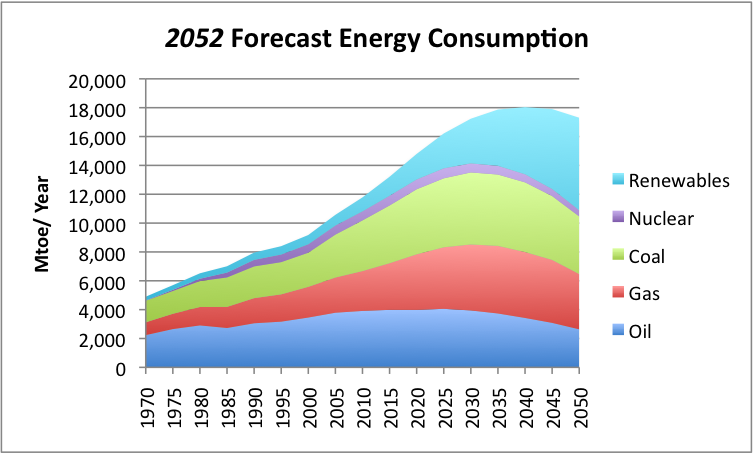 One resource industry dwarfs the rest of them put together: energy. The mega-shift of the 21st century is urbanization. For the first time in human history, more people live in cities than in rural areas. The consequences of this pivotal moment are attracting billionaire moguls across the globe, and they are all looking for a profit center to attach themselves to. In terms of fuel for cars, gasoline, made up of oil, accounts for the overwhelming majority of existing consumption, but this is changing dramatically because of the hyper-growth of electric vehicles on our roads. In the energy sector, nothing is more bullish for one source of fuel than for another to be too expensive. In other words, oil demand picks up when natural gas is getting expensive, and lithium demand explodes when oil becomes overpriced. Right now, oil is snapping out of a prolonged bear market, and that means inflation is headed higher and the time to position with gold and silver investments is approaching, but it's not here yet. 52-week highs are needed to get investors focused on precious metals when cryptocurrencies and blockchain investments keep shattering every record in the book. But what is ripe for massive gains is the "white petroleum": lithium. It's becoming a strategic element and, as I see it, the next 1-3 years will radically change how the world looks at its importance for the green revolution. 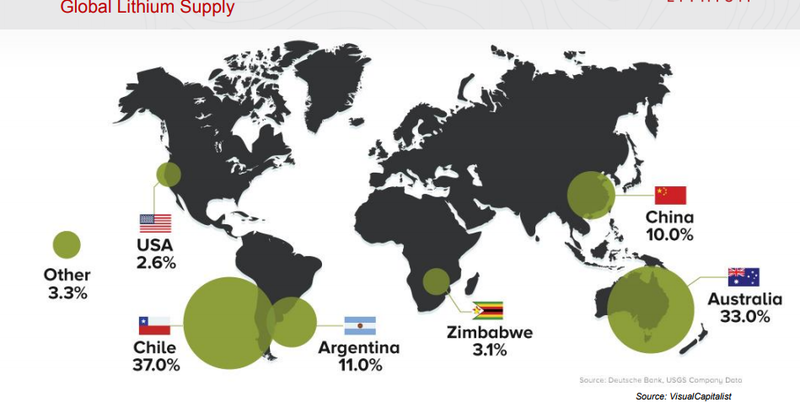 Nearly half of the world's supply comes from one place: the Lithium Triangle, in South America. The reason is that the geological conditions to mine and extract lithium are the best in Chile. Australia is second, but most of their supply isn't brine, which is much cheaper to produce. A. Find a lottery ticket with increased odds of winning. These are exploration plays, and if they hit the mother lode, the company could become worth 10 times more, and even 100 times more. Before the discovery, management had a hunch and lots of dirt. After the discovery, there are actual minerals in the asset—it's a game-changer. I only speculate with explorers when I know the majority owners of the company and every detail about it. It rarely happens, and the position size I commit to is 1% of my net worth at best, so even if this goes completely wrong, it's not at all problematic for my portfolio. On the other hand, if it goes up 1,000%, my net worth grows by 9%, and that's significant for one trade. When I find such a company, Portfolio Wealth Global publishes a full alert on it. B. Look for companies with the potential to be taken over for 3-5 times the current market cap. This is what Portfolio Wealth Global staff is always after. There are a number of principles for sifting through hundreds of candidates to zone in on the ideal company, and I want to show you how to do this yourself. We have identified our No. 1 candidate for a takeover, and it's trading, as I see it, for a 67% discount right now. Put differently, in 12-14 months, the value I slap on it is 300% higher than today's. HERE'S the complete research on it. 1. Management has already sold a previous company. 2. The company's project is potentially ready for near-term production. 3. The company is easy to evaluate. 4. The company has publicly mentioned that it is advancing on all fronts, with the exit strategy of flipping the business in mind. 5. It is financially sound. 6. The timeline for having the flagship project ready is 12-18 months. THIS lithium company meets all of these demands. 1) Tom Beck: I, or members of my immediate household or family, own shares of the following companies referred to in this article: None. I personally am, or members of my immediate household or family are, paid by the following companies referred to in this article: None. My company has a financial relationship with the following companies referred to in this article: Bearing Lithium Corp. I determined which companies would be included in this article based on my research and understanding of the sector.